We choose only the best of Italy. We personally know each of them and taste every single product before including them as part of our producers. Paying close attention to innovations, Fattoria Mantellassi adopts voluntary standards for monitoring carbon dioxide emissions and the wine is produced minimising the use of non-recyclable products in the supply chain. By means of the GreenCare system, which allows the control of water and energy consumption, the company knows and improves the level of environmental impact of each bottle of wine produced. The J. Hofstätter wine estate embodies all the best attributes of the South Tyrol (Südtirol-Alto Adige) wine region. Tenuta J. Hofstätter is located in Tramin-Termeno right on the bustling village square along site the city hall, bar, and church where Josef Hofstätter began making wines a good one hundred years ago. Fattoria del Cerro, with its 94 hectares of Vino Nobile di Montepulciano vineyards, is the largest private estate producing Vino Nobile in Tuscany. The spaciousness and the different exposition of the vineyards allow selecting the best grapes to make high quality wines. The structured wines, fragrant, but with fine tannins. Villa Giada comes from over two centuries of commitment in vineyard management. The most suitable areas for the production of Barbera were identified, and the village of Agliano Terme, where we have our vineyards, was recognized as the best terroir. 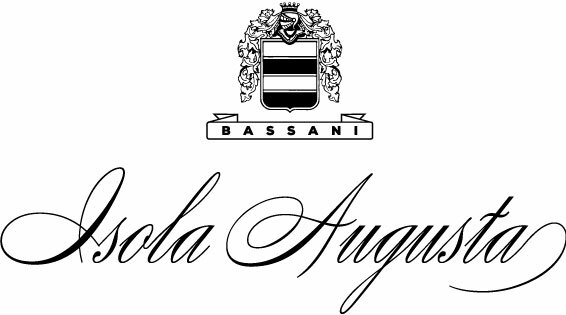 The best crus come right from this area, which makes Barbera one of the most important wines on the Italian wine scene. “I learned winemaking from my grandfather Saverio and I still do many things come una volta – as in the past, as my grandfather himself would have done. Isola Auguta situated in the heart of Friuli Latisana’s DOC has always paid special attention to the environment. Everything starts with managing the vineyard. The systemic chemical treatments have been almost entirely replaced by more environmentally friendly products which have been deemed to have less impact on the environment and grapes themselves. Gathering perfectly healthy grapes, we are also able to use very few sulphites to preserve the wine. In the early 2000s, the company achieved energy self-sufficiency installing 3 photovoltaic systems. All this with zero emissions. Two fine Tuscan wines are born from Cortona’sterroir: Syrah and Viognier. Wines that express proudly the complex and pronounced qualities that make them unique, thanks to the natural synergy with the soils of the Val di Chiana. Expanses of clay, with the presence of silt and little sand; nourished by the sun throughout the year and minimal rainfall in spring and summer. Characteristics that makes the Cortona’s terroir a small Côtes du Rhône in the South-East of Tuscany. Here is where the Syrah has always felt at home. Progettidivini cellar, specialized in the production of high-quality wines, exalts the flavours, aromas, and nuances of Soligo’s wine tradition, in the heart of the Valdobbiadene Prosecco DOCG. The “Prosecco”, in its most classic sparkling version, has for years received a favourable response from consumers around the world. The secret behind its increasing success is found in the product’s particular characteristics: for example, its striking versatility. Get set … Prosecco! Combining Tradition and Innovation, producing superior quality wines through careful treatments of the grapes. A tradition of over fifty years, started in the heart of the Roero by his father Sandro and his uncle Alfredo. Although is a young vineyard, la Lecciaia produces wines in full respect of the ancient traditions of Brunello di Montalcino. La Lecciaia is located in the Vallafrico region at the borders of the oldest and most prestigious farms of Montalcino, where the particular position, the structure of the land and the goodness of the microclimate have allowed the birth of the prestigious Brunello wine. The fame of Lucca wines from Montecarlo goes back hundreds of years. Our wine makers steadily carry out the complex task of improving on existing techniques and introducing new ones for both the vineyard and the winery. Sagrantino grape, properly native variety of Montefalco, is one of Italy’s oldest grape, the most rich in tannins and polyphenols. As a result of that a very careful cultivation process is required in order to enhance power and uniqueness of this wine, and in meantime to ensure the right balance and elegance. The dream of our family has always been to take Barolo all around the world. We continue to believe in this precious fruit of the Langa, which comes from the Crü Massara, located in the Commune of Verduno, one of the best crü in the Barolo district. The DOGLIANI DOCG is based on wine grapes Dolcetto, it’s a red coloured wine, with a fruity flavour. Its delicate taste makes this wine ready to drink and pleasant.